The University of Alabama (UAB) Nursing Program’s mission is to be the national leader in the practice of professional nursing and innovation and is focused on improving quality in its pursuit to deliver the highest quality care for every patient. The UAB Nursing Program has a blended orientation model that ensures both new and more experienced nurses are prepared to handle any situation. The UAB Nursing website offers lots of information about the courses and the many unique opportunities available to the students. However, there wasn’t a career resource page. A career resource page provides helpful information to students who are close to graduating or who have recently graduated and are looking for open positions. 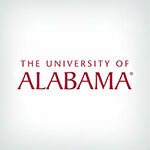 The University of Alabama is an excellent choice for students looking to enter the nursing field. The school has several nationally ranked programs and plenty of nursing specialties to select from. Additionally, The Dean’s Nursing Scholar is a great option for high school students who want to become a nurse. Overall, the University of Alabama is a solid choice in the industry.